F. Mars, P. Chevrel. Modelling human control of steering for the design of advanced driver assistance systems. In Annual Reviews in Control ; éd. Elsevier, 2017, vol. 44. L. Pouliquen-Lardy, I. Milleville-Pennel, F. Guillaume, F. Mars. Remote collaboration in virtual reality: asymmetrical effects of task distribution on spatial processing and mental workload. In Virtual Reality ; éd. Springer Verlag, 2016. R. Lobjois, I. Siegler, F. Mars. Effects of visual roll on steering control and gaze behavior in a motorcycle simulator. In Transportation Research Part F: Traffic Psychology and Behaviour ; éd. Elsevier, 2016, vol. 38. J. Navarro, M. François, F. Mars. Obstacle avoidance under automated steering: Impact on driving and gaze behaviours. In Transportation Research Part F: Traffic Psychology and Behaviour ; éd. Elsevier, 2016, vol. 43. L. Pouliquen-Lardy, F. Mars, F. Guillaume, I. Milleville-Pennel. Virtual collaboration: effect of spatial configuration on spatial statements production. In Cognitive Processing ; éd. Springer Verlag, 2015, vol. 16, num. S1. F. Mars, M. Deroo, J. Hoc. Analysis of human-machine cooperation when driving with different degrees of haptic shared control. In IEEE Transactions on Haptics (ToH) ; éd. IEEE, 2014, vol. 7, num. 3. I. Frissen, F. Mars. The effect of visual degradation on anticipatory and compensatory steering control. In Quarterly Journal of Experimental Psychology ; éd. Taylor & Francis (Routledge), 2014, vol. 67, num. 3. M. Deroo, J. Hoc, F. Mars. Effect of strength and direction of haptic cueing on steering control during near lane departure. In Transportation Research Part F: Traffic Psychology and Behaviour ; éd. Elsevier, 2013, vol. 16, num. 1. L. Saleh, P. Chevrel, F. Claveau, J. Lafay, F. Mars. Shared steering control between a driver and an automation: stability in the presence of driver behaviour uncertainty. In IEEE Transactions on Intelligent Transportation Systems ; éd. IEEE, 2013, vol. 14, num. 2. F. Mars, J. Navarro. Where We Look When We Drive with or without Active Steering Wheel Control.. In PLoS ONE ; éd. Public Library of Science, 2012, vol. 7, num. 8. L. Saleh, P. Chevrel, F. Claveau, J. Lafay, F. Mars. Contrôle latéral partagé d'un véhicule automobile - Conception à base d'un modèle cybernétique du conducteur et d'une commande H2 anticipative. In Journal Européen des Systèmes Automatisés (JESA) ; éd. Lavoisier, 2012, vol. 46, num. 4-5. M. Deroo, J. Hoc, F. Mars. Influence of risk expectation on haptically cued corrective manoeuvres during near lane departure.. In Ergonomics ; éd. Taylor & Francis, 2012, vol. 55, num. 4. J. Navarro, F. Mars, M. Young. Lateral control assistance in car driving: classification, review and future prospects. In IET Intelligent Transport Systems ; éd. Institution of Engineering and Technology, 2011, vol. 5, num. 3. T. Denoual, F. Mars, J. Petiot, G. Reymond, A. Kemeny. Drivers' Perception of Loss of Adherence in Bends: Influence of Motion Rendering. In Journal of Computing and Information Science in Engineering ; éd. American Society of Mechanical Engineers, 2011, vol. 11, num. 4. J. Navarro, F. Mars, J. Forzy, M. El Jaafari, J. Hoc. Objective and subjective evaluation of motor priming and warning systems applied to lateral control assistance. In Accident Analysis and Prevention ; éd. Elsevier, 2010, vol. 42. J. Navarro, F. Mars, J. Hoc. Lateral control assistance for car drivers: a comparison of motor priming and warning systems.. In Human Factors ; éd. SAGE Publications, 2007, vol. 49, num. 5. J. Hoc, F. Mars, I. Milleville-Pennel, E. Jolly, M. Netto, J. Blosseville. Human-machine cooperation in car driving for lateral safety: delegation and mutual control. In Le travail humain ; éd. Presses Universitaires de France, 2006, vol. 69, num. 2. F. Mars, L. Bringoux, C. Cian, P. Barraud, C. Raphel, J. Vercher. Perception de la verticale avec un cadre visuel solidaire de la tête : implications pour l'utilisation des visiocasques. In Le travail humain ; éd. Presses Universitaires de France, 2005, vol. 68. F. Mars, J. Vercher, K. Popov. Dissociation between subjective vertical and subjective body orientation elicited by galvanic vestibular stimulation.. In Brain Research Bulletin ; éd. Elsevier, 2005, vol. 65, num. 1. F. Mars, J. Vercher, J. Blouin. Perception of the vertical with a head-mounted visual frame during head tilt.. In Ergonomics ; éd. Taylor & Francis, 2004, vol. 47, num. 10. F. Mars, P. Archambault, A. Feldman. Vestibular contribution to combined arm and trunk motion.. In Experimental Brain Research ; éd. Springer Verlag, 2003, vol. 150, num. 4. F. Mars, K. Popov, J. Vercher. Supramodal effects of galvanic vestibular stimulation on the subjective vertical.. In NeuroReport ; éd. Lippincott, Williams & Wilkins, 2001, vol. 12, num. 13. F. Mars, C. Bourdin, J. Vercher. Effect of a head-mounted visual frame on the subjective vertical. In Perception ; éd. SAGE Publications, 2000, vol. 29, num. S.
 F. Mars, J. Honoré, C. Richard, J. Coquery. Effects of an illusory orientation of the head on straight-ahead pointing movements. In Cahiers de Psychologie Cognitive - Current Psychology of Cognition ; éd. Marseille : ADRSC, 1998, vol. 17. J. Carriot, L. Bringoux, C. Charles, F. Mars, V. Nougier, C. Cian. Perceived body orientation in microgravity: effects of prior experience and pressure under the feet.. In Aviation, Space, and Environmental Medicine ; éd. Aerospace Medical Association, 2004, vol. 75, num. 9. F. Mars. Relevance seen through the prism of hierarchical driver modelling. In Many faces of relevance - 2nd workshop, janvier 2017, Helsinki, Finlande. F. Mars, A. Ameyoe, P. Chevrel, E. Le Carpentier, H. Illy. Analysis of a driver model sensitivity to various types of distraction. In 5th International Conference on Driver Distraction and Inattention, mars 2017, Paris, France. S. Espié, B. LARNAUDIE, B. Vincke, F. DELGEHIER, R. Sadoun, S. Bouaziz, S. Mammar, F. Mars, C. Laubenheimer, J. Reynaud. In-depth study of bend taking practices, towards evaluation and (re)training tools : the VIROLO++ research project. In 11th International Motorcycle Conference, octobre 2016, Cologne, Allemagne. F. Mars, P. Chevrel. A psychophysiology-based driver model for the design of driving assistance systems. 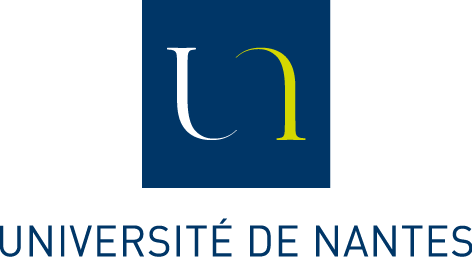 In 1st International Neuroergonomics Conference: "The brain at work and in everyday life", octobre 2016, Paris, France. L. Jaschinski, S. DENJEAN, J. Petiot, F. Mars, V. Roussarie. Impact of interface sonification with touchless gesture command in a car. In Human Factors and Ergonomics Society Europe Chapter 2016 Annual Conference, octobre 2016, Prague, République tchèque.In D. de Waard (éds.), . , 2016. A. Ameyoe, F. Mars, P. Chevrel, E. Le Carpentier, H. Illy. Estimation of Driver Distraction Using the Prediction Error of a Cybernetic Driver Model. In Driving Simulation Conference and Exhibition, DSC'2015, septembre 2015, Tübingen, Allemagne. A. Ameyoe, P. Chevrel, E. Le Carpentier, F. Mars, H. Illy. Identification of a Linear Parameter Varying Driver Model for the Detection of Distraction. In 1st IFAC Workshop on Linear Parameter Varying systems, octobre 2015, Grenoble, France. L. Pouliquen-Lardy, I. Milleville-Pennel, F. Mars. Remote collaboration: spatial communication in immersive virtual environments. In 28th International Congress of Applied Psychology, juillet 2014, Paris, France. M. Hoarau, C. Charron, F. Mars. Activity analysis of expert and novice operators in a semi-automated manufacturing process. In 2014 European Conference on Cognitive Ergonomics, septembre 2014, Vienna, Autriche. L. Pouliquen-Lardy, I. Milleville-Pennel, F. Guillaume, F. Mars. How role distribution influences choice of spatial reference frames in a virtual collaborative task. In Spatial Cognition 2014, septembre 2014, Bremen, Allemagne. F. Mars. Hierarchical control of driving and human-machine cooperation. In Human Cyber Physical System Interaction - Control for the Human Welfare, septembre 2014, Paris, France. F. Mars, M. Deroo, C. Charron. Driver adaptation to haptic shared control of the steering wheel. In 2014 IEEE International Conference on Systems, Man, and Cybernetics (IEEE SMC), octobre 2014, San Diego, états-Unis. T. Denoual, J. Petiot, F. Mars, A. Kemeny. Predicting the subjective evaluation of vehicle behaviour in a driving simulator. In 11th Biennial Conference On Engineering Systems Design And Analysis (ESDA2012), juillet 2012, Nantes, France. T. Denoual, F. Mars, J. Petiot, A. Kemeny. Toward predicting the subjective assessment of ESC in a driving simulator. In Driving Simulation Conference 2012 - Europe (DSC2012), septembre 2012, Paris, France.In A. Kemeny, F. Mérienne & S. Espié (éds. ), Proceedings of the Driving Simulation Conference Europe 2012. Les collections de l'IFSTTAR, 2012. L. Saleh, P. Chevrel, F. Mars, J. Lafay, F. Claveau. Human-like cybernetic driver model for lane keeping. In IFAC World Congress, août 2011, Milan, Italie. F. Mars, L. Saleh, P. Chevrel, F. Claveau, J. Lafay. Modeling the visual and motor control of steering with an eye to shared-control automation. In Human Factors and Ergonomics Society 55th Annual Meeting, septembre 2011, Las Vegas, états-Unis. M. Deroo, J. Hoc, F. Mars. Varying the degree of shared control between drivers and steering automation. In Human Factors and Ergonomics Society - European Chapter Annual Meeting, octobre 2011, Leeds, Royaume-Uni. T. Denoual, F. Mars, J. Petiot, G. Reymond, A. Kemeny. Drivers' perception of simulated loss of adherence in bends. In Driving Simulation Conference Europe 2010, septembre 2010, Paris, France. M. Deroo, F. Mars, J. Hoc. Can drivers modulate the effect of a motor priming assistance device during lane departure?. In 2010 Human Factors and Ergonomics Society European Chapter Meeting, octobre 2010, Berlin, Allemagne. C. Sentouh, P. Chevrel, F. Mars, F. Claveau. A human-centred Approach of Steering Control Modelling. In 21st IAVSD Symposium on Dynamics of Vehicles on Roads and Tracks, août 2009, Stockholm, Suède. C. Sentouh, P. Chevrel, F. Mars, F. Claveau. A Sensorimotor Driver Model for Steering Control. In IEEE International Conference on Systems, Man, and Cybernetics (SMC 2009), octobre 2009, San Antonio, TX, états-Unis. F. Mars. Steering and gaze control modifications from directed or spontaneous use of a visual augmentation cue.. In Human Factors and Ergonomics Society Annual Meeting 2008, 2008, , états-Unis. M. El Jaafari, J. Forzy, J. Navarro, F. Mars, J. Hoc. User acceptance and effectiveness of warning and motor priming assistance devices in car driving. In European Conference on Human Centred Design for Intelligent Transport Systems, 2008, Lyon, France.In C. Brusque (éds. ), Proceedings of the European Conference on Human Centred Design for Intelligent Transport Systems. HUMANIST Publications, 2008. J. Navarro, F. Mars, J. Hoc. Lateral control support for car drivers: a human-machine cooperation approach. In European Conference on Cognitive Ergonomics 2007 (ECCE 2007), 2007, Londres, Royaume-Uni. J. Navarro, F. Mars, J. Forzy, M. El Jaafari, J. Hoc. Objective and subjective assessment of warning and motor priming assistance devices in car driving. In Human Factors and Ergonomics Society European Chapter Meeting, 2007, Braunschweig, Allemagne.In D. de Waard, F.O. Flemisch, B. Lorenz, H. Oberheid, & K.A. Brookhuis (éds. ), Human Factors for assistance and automation. Shaker Publishing, 2007. F. Mars. Visual cue enhancement in the vicinity of the tangent point can improve steering in bends.. In 3rd International Conference on Enactive Interfaces, 2006, , France. J. Navarro, F. Mars, J. Hoc, R. Boisliveau, F. Vienne. Evaluation of human-machine cooperation applied to lateral control in car driving. In 16th World Congress of the International Ergonomics Association, 2006, Maastricht, Pays-Bas. J. Navarro, F. Mars, J. Hoc, R. Boisliveau, S. Espié. A comparison of warning and motor priming assistance systems for lateral control in car driving.. In 9th Driving Simulation Conference, 2006, Paris, France. J. Navarro, F. Mars, J. Hoc. Evaluation of a motor priming device to assist car drivers.. 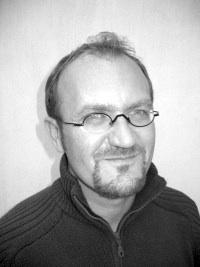 In 2nd ENACTIVE Conference, 2006, Montpellier, France. J. Hoc, F. Mars, I. Milleville-Pennel, E. Jolly. Human-machine co-operation in car driving for safe lateral control in bends: function delegation and mutual control.. In Human Factors and Ergonomics Society European Chapter Conference, 2006, Turin, Italie.In D. de Waard, K.A. Brookhuis, & A. Toffetti (éds. ), Developments in Human Factors in Transportation, Design, and Evaluation. Shaker Publishing, 2006. M. Hoarau, C. Charron, F. Mars. D'où viennent les schèmes trompeurs des opérateurs dans l’industrie ? Étude dans un micromonde simulant un atelier aéronautique réel.. In Ergo'IA 2016, juillet 2016, Bidart/Biarritz, France. R. Lobjois, F. Mars, I. Siegler. Simulation de conduite moto : effets du roulis visuel sur les stratégies visuelles et le contrôle de trajectoire lors de la prise de virage. In Journées scientifiques Deux-roues motorisés, octobre 2013, Bron, France. P. Chevrel, F. Mars, J. Lafay, F. Claveau. Contrôle latéral partagé d'un véhicule automobile : conception à base d'un modèle cybernétique du conducteur et d'une commande H2 anticipative. In Réunion GTAA (Groupe de Travail Automatique et Automobile), mai 2012, Versailles, France. M. Deroo, F. Mars, J. Hoc. Contrôlabilité de manœuvres d'évitement de sortie de voie amorcées par un dispositif haptique de maintien dans la voie. In Colloque Epique'2011, septembre 2011, Metz, France.In C. Bastien, J. Cegarra, A. Chevalier, J. Dinet, N. Gregori, V. Grosjean (éds. ), Epique'2011 - Sixième Colloque de Psychologie Ergonomique. Presse Universitaire de Nancy, 2011. C. Sentouh, P. Chevrel, F. Mars, F. Claveau. Modélisation du conducteur pour le contrôle de la trajectoire d'un véhicule automobile. In Conférence Internationale Francophone d'Automatique, juin 2010, NANCY, France. J. Hoc, F. Mars, J. Navarro. Coopérer avec les assistances à la conduite: l'articulation des niveaux de contrôle cognitif.. In Congrès de la SFP, 2008, Bordeaux, France. F. Mars, I. Milleville-Pennel, J. Hoc. La modélisation de la perception et du contrôle du mouvement au service de la conception des assistances à la conduite automobile. In ÉPIQUE 2007, 2007, Nantes, France. J. Navarro, J. Hoc, F. Mars. La délégation de fonction en conduite automobile du point de vue de la coopération homme-machine.. In ÉPIQUE 2007, 2007, Nantes, France. F. Mars. Providing reference visual cues near the tangent point improves curve driving.. In 26th International Congress of Applied Psychology, 2006, , Grèce. I. Milleville-Pennel, F. Mars, E. Jolly, V. Aguiléra, B. Lusetti. Assistance à la conduite automobile : Intégration des capacités d'anticipation perceptive du conducteur. In Congrés National de la SFP, 2003, Poitiers, France. H. Illy, A. Ameyoe, P. Chevrel, E. Le Carpentier, F. Mars. Procédé de détermination d'un niveau d'attention d'un conducteur d'un véhicule automobile et méthode de stimulation de l'attention d'un conducteur d'un véhicule automobile. N° brevet : FR3040231 / WO2017029443. H. Illy, A. Ameyoe, P. Chevrel, F. Mars, E. Le Carpentier. Procédé de détermination d’un niveau d’attention d’un conducteur d’un véhicule automobile et méthode de stimulation de l’attention d’un conducteur d’un véhicule automobile. N° brevet : WO2017029444 (A1). H. Illy, A. Ameyoe, P. Chevrel, F. Mars, E. Le Carpentier. Procédé et dispositif de détection d'un changement de comportement de conducteur d'un véhicule automobile. N° brevet : FR3032919 / WO2016/132032. F. Mars. LA DESORIENTATION SPATIALE EN AERONAUTIQUE : Apport des Neurosciences intégratives à la conception des postes de pilotage. Thèses : Université de la Méditerranée - Aix-Marseille II. X. Zanlonghi, T. Bizeau, F. Mars, R. Boisliveau, I. Milleville-Pennel. Neuropathie optique et conduite : mise en évidence de comportements de compensation visuelle. In 123e Congrès de la Société Française d'Ophtalmologie, mai 2017, Paris, France. I. Frissen, F. Mars. Motor preparation of lane changes using advance visual and haptic information. In Psychonomic Society's 57th Annual Meeting, novembre 2016, Boston, états-Unis. A. Ameyoe, P. Chevrel, E. Le Carpentier, F. Mars, H. Illy. Estimation of Driver Distraction Using the Prediction Error of a Cybernetic Driver Model. L. Pouliquen-Lardy, F. Mars, I. Milleville-Pennel. Collaboration à distance : méthode d'analyse des Environnements Virtuels Collaboratifs Immersifs. In 25ème conférence francophone sur l'Interaction Homme-Machine, IHM'13, novembre 2013, Bordeaux, France.